A community advocate for affordable housing says Charlottetown is on the verge of becoming “unlivable” for people on low and modest incomes. P.E.I. needs a voice for tenants, says a community advocate for affordable housing. Rosalind Waters says Charlottetown is on the verge of becoming "unlivable" for people on low and modest incomes. 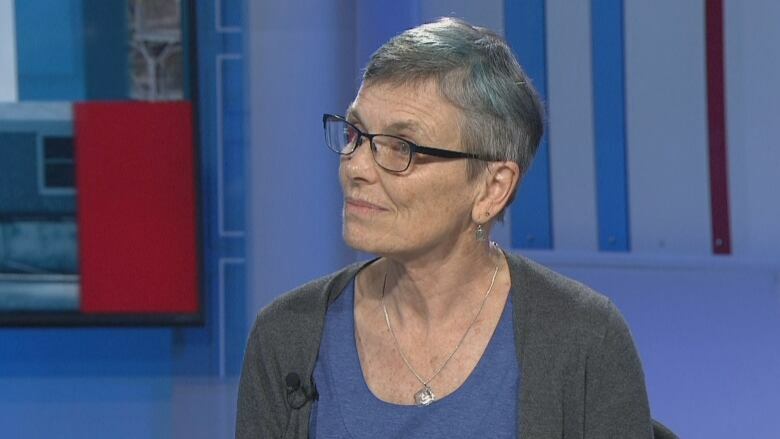 "We really need to organize and have a tenants movement on Prince Edward Island," she said in an interview Friday on CBC News: Compass. Waters was one of the presenters at a grassroots meeting Thursday addressing the issues of affordable housing. She said property owners on P.E.I. want to benefit from soaring property values and the high rents they are able to charge, so they are finding grounds to evict low-income tenants, such as renovations or a demolition. "They want to upgrade their accommodation or demolish the build and build upscale duplexes, or renovate and have upscale apartments, the first thing they have to figure out is how do I move these tenants out," she said. Many of the tenants who are being forced out are having difficulty finding other places to live in Charlottetown, she said. "It seems like all levels of government seem to be complacent to let communities lose their current stock of affordable housing and sort of build new buildings on the outskirts." That's why she said a tenants advocacy group is so important. She said tenants need to "reclaim our communities." "A healthy community is a diverse community, which has people of all income levels and people of all ethnic backgrounds."